This week The Chopped Leaf made an exciting addition to the menu and we’re pleased to introduce El Rancho! A spin on the traditional, this salad delivers a bit of a kick and is perfect for those looking to spice things up. 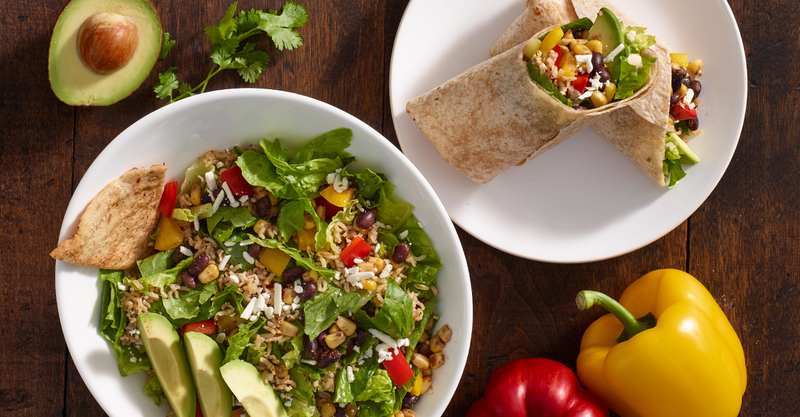 El Rancho includes romaine lettuce, rice, black bean corn salsa, peppers, feta cheese, cilantro, and avocado. Finally, it is topped with our Chipotle Ranch dressing and a pita chip. Available as a full or starter salad and a wrap, you can try El Rancho your way. In it’s first week, El Rancho has already become a crowd favourite and we can’t wait for you to try it! Hello, I am looking for the nutritional info for this salad & dressing. Thanks.